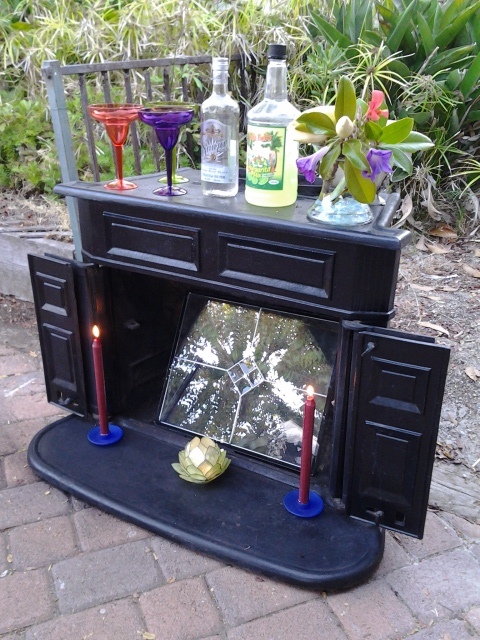 Margarita Bar in my courtyard. Great for hosting BBQs. 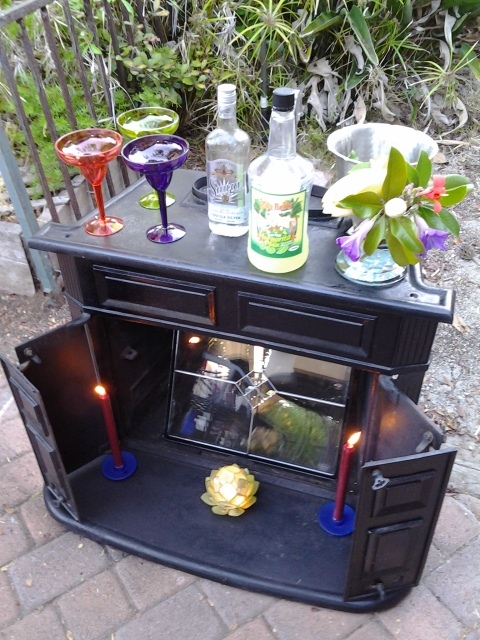 Sometimes I think I really can turn anything into a Margarita Bar. What do you have in your garage or basement that could be a fun project for you? Decluttering can be a great adventure. 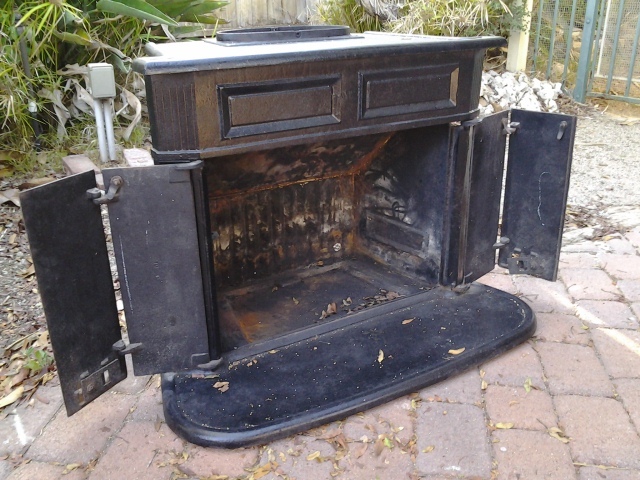 This wood-burning stove was formerly used to heat my studio. The glass insert is a lone window left over from a remodeling project. We originally bought it from a salvage company. If you’re the Historian organizing personality style, and you like to keep old things, it’s a great feeling to put them to good use. The key is staying organized so you know where those things are and have access to them when you want them. Old wood-burning stove from my studio. I was covered in soot when I finished cleaning it!